Good news for Toni Bou after his injury in the right knee during the practice session at the Belgium TrialGP, last weekend. After the tests carried out on Monday morning at the Creu Blanca Clinic in Barcelona, Dr. Joaquim Terricabras was able to observe that the Repsol Honda Team rider… read more. Bou put on a fine display of riding prowess today in Comblain-au-Pont in the sixth round of the World Championship, where despite starting with an injury, was able to outclass his rivals in the fight for the title. 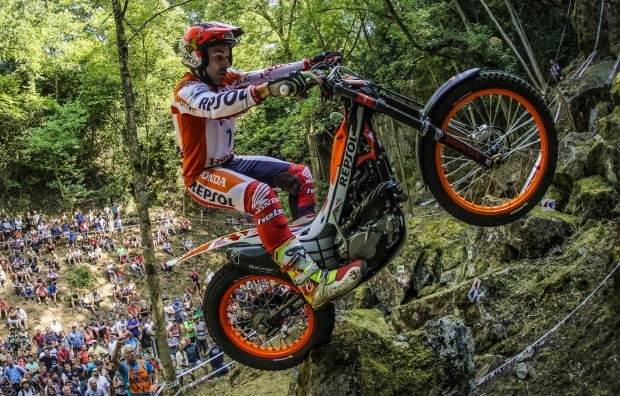 Takahisa Fujinami occupied the third step of the podium, proving to be… read more. 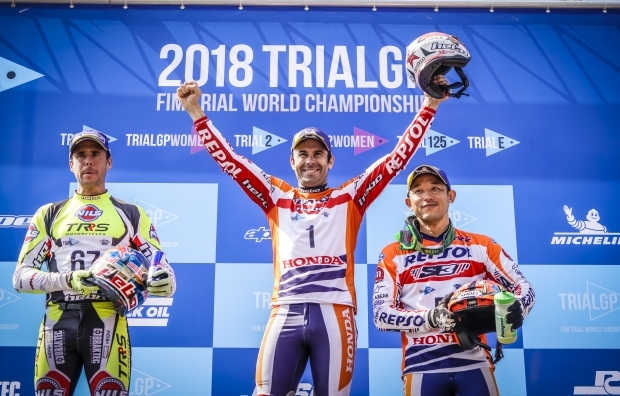 The leader of the TrialGP World Championship, Repsol Honda Team rider Toni Bou, finished in tenth place today after suffering a knee injury that will undoubtedly hamper Sunday’s main event. Takahisa Fujinami qualified eighth. The qualifying session for tomorrow’s Belgium TrialGP took place today, coinciding with the country’s National Day.… read more. 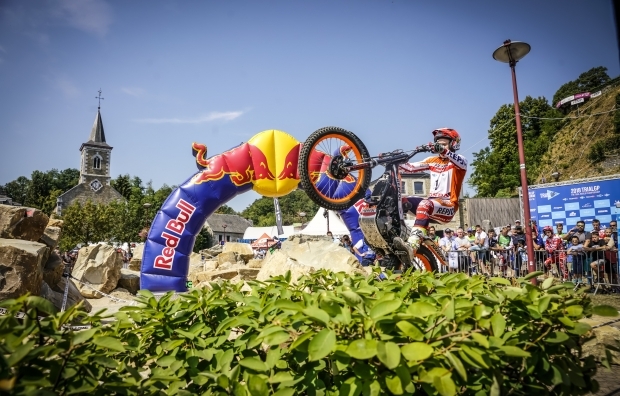 This coming weekend the TrialGP World Championship arrives at the final date before the summer break as Belgian town Comblain-au-Pont hosts the sixth event of the season, with Toni Bou looking to consolidate his leadership. 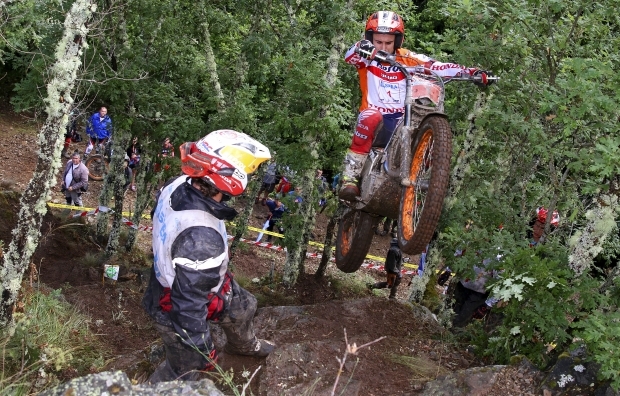 Repsol Honda Team rider Toni Bou, current overall leader of the TrialGP World Championship is… read more. 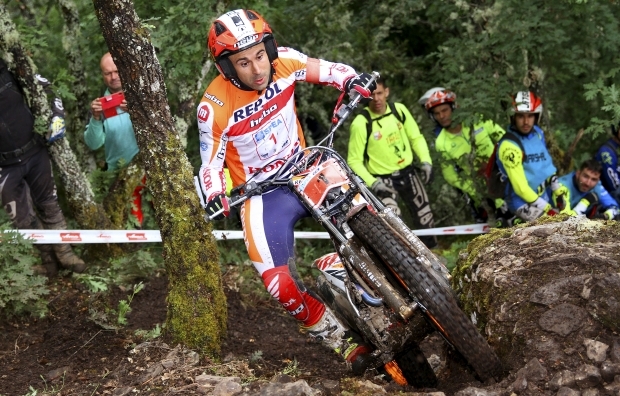 Repsol Honda Team rider Toni Bou clinched victory in the fifth round of the TrialGP World Championship held this weekend in Auron, France. Takahisa Fujinami posted fifth. The fifth event of the TrialGP World Championship was battled out this weekend at an altitude of 1700 metres above sea level, in… read more. It was a third consecutive pole position for Repsol Honda Team rider Toni Bou in the qualifying section of the fifth round of 2018 TrialGP World Championship held today in Auron, France. ‘Fujigas’ clocked the day’s fourth best time. A very upbeat qualifying session for the riders of Repsol Honda… read more. 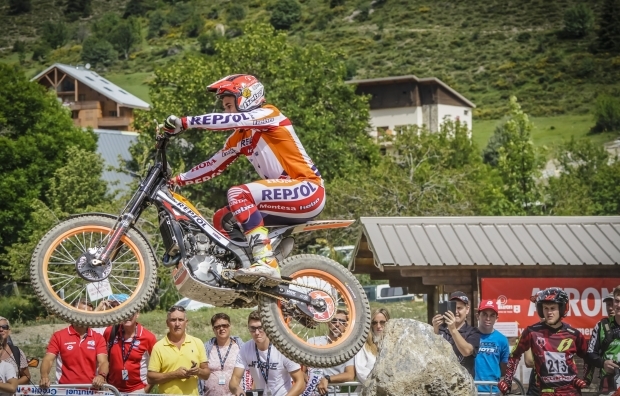 Next weekend sees the TrialGP World Championship cross the halfway point with the fifth round to be held in Auron, France featuring a buoyant Repsol Honda Team eager to get a good result. 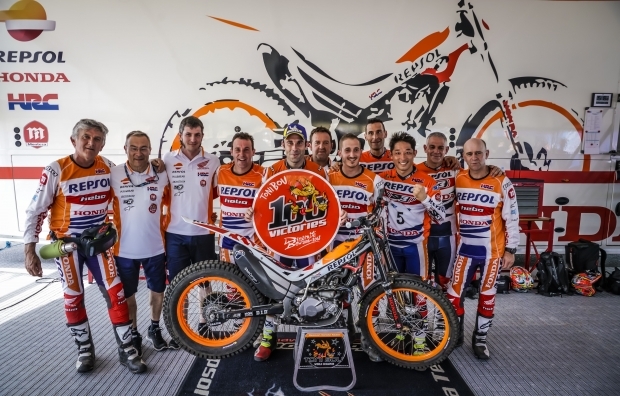 After a successful campaign over the opening four dates of the TrialGP World Championship calendar, Toni Bou,… read more. Very, very few, or perhaps no-one, has been able to sustain a 50% success rate at the highest level of sporting competition. 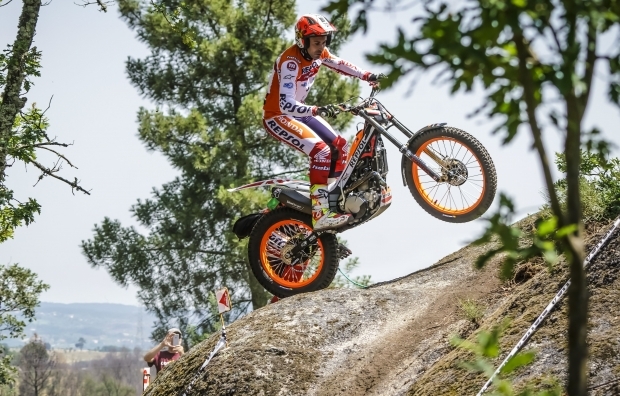 Recently in Portugal, Toni Bou finally got to achieve such an extraordinary figure, not to mention the equally outstanding stats from indoor trial competitions (or X-Trial) with a… read more. This report is available in Spanish language only, sorry for the inconveniences.